Join the Walker Book Group for a welcoming potluck supper and lively book discussion on Sunday, March 10, 2018 at 5:30 pm in Channing Hall. Newcomers are always welcome. Bring a dish to share and a small contribution to cover beverages. 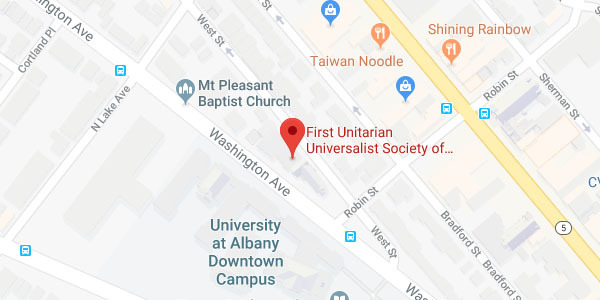 Be responsible for cleanup if using Albany UU’s kitchen or be green and bring your own dishes and flatware. On April 14, we will discuss The Fish who Ate the Whale: Life and Times of America’s Banana King by Rich Cohen. On May 12, we will discuss a classic novel to be selected at our March meeting. We hope you will join us. For future updates, subscribe to the Walker Book Group egroup list at mail-to: AlbanyUU-WalkerBookGroup@egroups.churchdb.com. Contact Martha Musser for further information or questions at mussermartha@gmail.com.